Medicinal plants inspire me to write. 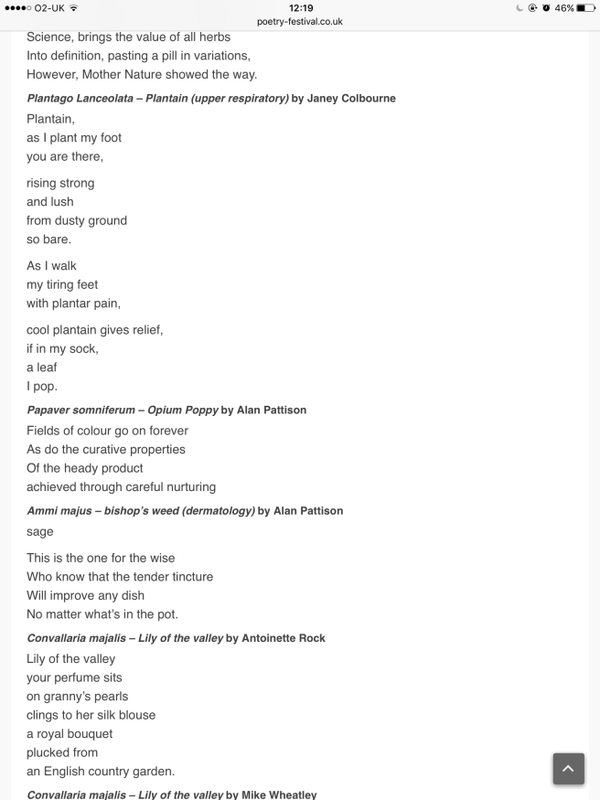 I submitted a poem to the Poetica Botanica page of the Ledbury Poetry Festival. It’s a lovely idea, inspired by the Physic Garden at Hellens Manor, and anyone can join in. It’s not a competition. Just pick a plant from their list, write a poem, and they will display it on their page.